Our Rosemary Mint Shampoo Bar is brand new and is a luxurious lathering soap for your hair. This Shampoo Bar Coconut Milk Soaps is quickly becoming another favorite of ours. Rosemary Mint has a cool spearmint scent with undertones of rosemary, an aromatic soap whose essential oils are fully released in its rich creamy lather. As always our soaps are saponified with oils and Never with animal fats. 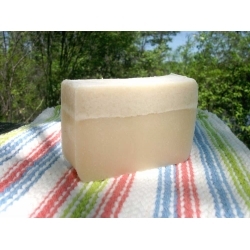 You can even use this Shampoo Coconut Milk Soap Bar to wash with. This soap is truly a pleasure. Made with Shea Butter and about 15% Coconut Milk, your lather is rich and creamy. Our soaps are handmade so no two bars are exactly alike. This soap weighs about 5.25 oz and can weigh slightly more or less. To truly be called a coconut milk soap, soap bars should be at least 10% coconut milk or more. We use only organic Coconut Milk and this bar averages almost 15% Coconut Milk for the maximum benefit of the coconut milk. Coconut Oil, Palm Oil, Safflower Oil, Coconut Milk, Glycerin, Shea Butter, Purified Water, Sodium Hydroxide, Sorbitol, Sorbitan Oleate, Soy Bean Protein, Beeswax, Titanium Dioxide, Beeswax, Grapeseed Oil, Titanium Dioxide, Essential Oils. 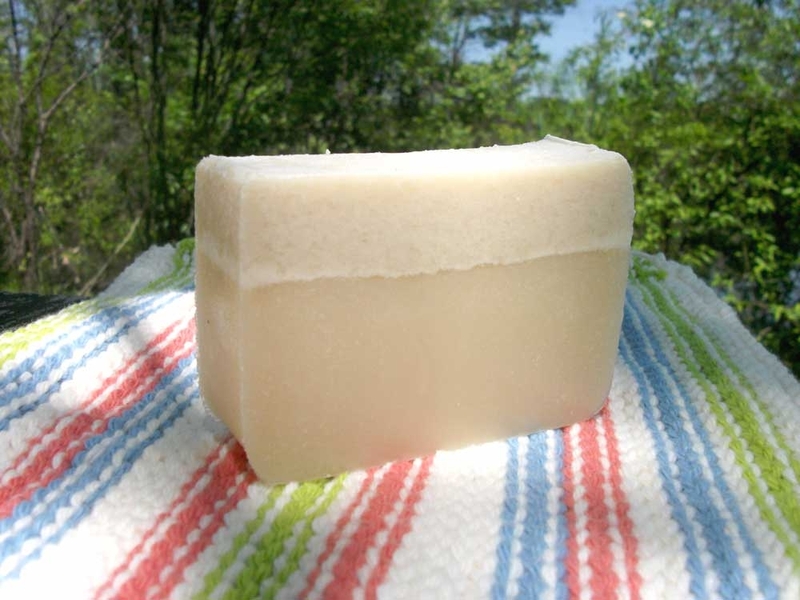 We never use animal products in Adirondack Trader Coconut Milk Soap.